In 2003, a group of Peace Corps volunteers in Georgia established the Writing Olympics as an innovative way to promote creativity and critical thinking among students in developing countries. Three years later, Armenia and Azerbaijan competed in the first Trans-Caucasus Writing Olympics. The contest went international in 2009 with the inclusion of Moldova. Thanks to outreach efforts by Peace Corps volunteers and staff, the number of participating countries has doubled in recent years with the addition of Albania, Bulgaria, Cambodia, Mongolia, and Ukraine. The project, now known as the Write On! Competition, is in its tenth year and looking to expand to even more countries. For teachers, the competition is an opportunity to develop the English language skills of their students through thought-provoking ways not often included in the curriculum. For students, the contest provides an outlet for freedom of expression and an incentive for further language development. For PCVs, this is a chance to get involved, be inspired, and have a lot of fun on a secondary project. The Write On! Competition (WOC) is judged on a national and international basis. Peace Corps volunteers and local teachers begin preparing students in their communities in December. The regional competitions are held in February. National organizers will distribute writing prompts to each community holding a competition. Students from 6th grade to university senior are encouraged to participate. At the competition, students chose from a list of writing prompts. They are given one hour to respond, in English, without assistance. 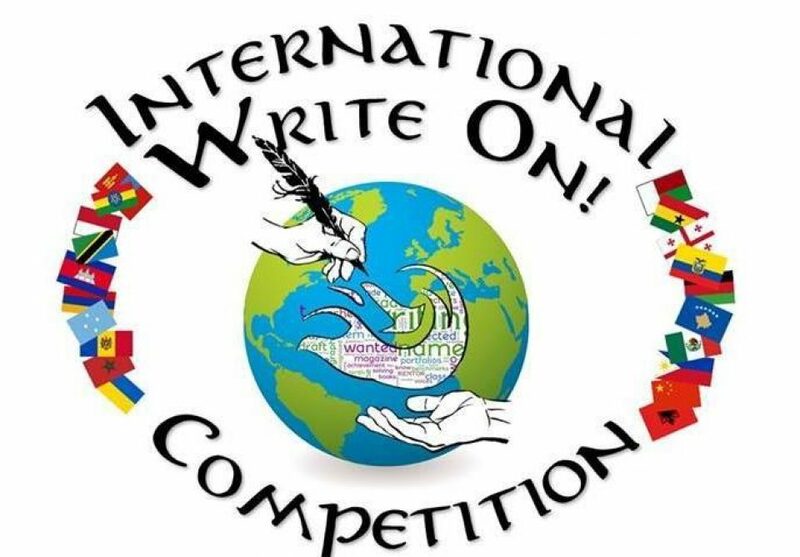 Entries are judged based on the merit of their creativity and inspiration, rather than on grammar or spelling. After the competition, each community organizer submits the entries for national judging. In March, national judging is held by a panel of Peace Corps volunteers and host country nationals. National winners will also be submitted for international judging by a panel in Tbilisi, Georgia. National Organizer: Each participating country has a Peace Corps volunteer acting as national organizer. National organizers promote the competition, locate sponsors and partnership organizations, and help community organizers prepare students for the competition. For more information on hosting a competition in your country, contact one of the international organizers listed below. If you are a Peace Corps Volunteer and you are interested in hosting a competition in your country for the year 2019, please fill out and submit a request found here. Host a competition: Hosting a competition is easy and rewarding. Through local school or NGO contacts, encourage students to practice their creative English writing skills. English clubs are the perfect place to plan creative writing activities. On a date of your choice, the participating students will join you in a supervised testing area and write out their personal information at the top of their test sheet. You will hand out or write on the board the writing prompts for each grade level present. The students have one hour to write. After the hour, collect their work and send it to the national organizer of your country. If you do not see your country listed below, contact us at writeoncompetition@gmail.com to get information on how to start the competition in your country. To get involved as a volunteer, please fill out this form. Thank you to sponsoring organizations! Current and past partnership organizations include: American Councils, British Council, Darien Book Aid, PH International, KyivPost, The Megobari Foundation, the Guivy Zaldastanishvili American Academy in Tbilisi, and the U.S. Embassy. Thank you for your support. The Write On! Competition is a free-standing international contest organized by United States Peace Corps volunteers. In no way do the contents of this website reflect the views and opinions of Peace Corps or the United States government. They belong to the participants and organizers alone. I am from tunisia and I want to submit to the contest :'( please how can I? Hello! My name is Anxhela from Fier, Albania. I’ve been participateing in the Write On Competition since i was in the 6th grade. I have taken many certificates awards and look forward participateing in the competition every year. This year I won the first national place for the 9th graders. I took the national certificate and I am very grateful. But a few weeks after the announcement of the national winners I discovered that i was also the winner of the first place for the international competition. I asked the missionaries if I was going to get anything as a international winner and they replied negatively. I understand but the school of my dreams(a middle school, the best of my city) has offered me a scholarship if a have something to prove my wining(for example a winner certificate) because it is a very expensive school which doesn’t just gives aways scholarships based on Facebook statuses announcing winners. I understand if this is too much to ask but of you could just provide me a document as a winner certeficate I would be sooooo GRATEFUL. I look forward for your reply. Sincerely yours, Anxhela Doko.